The DMX line of industrial agitators is our most widely applied line of mixers. This is a true industrial agitator, which can be configured to suit your most challenging applications. 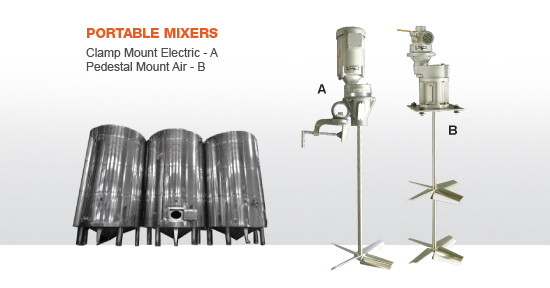 Your investment in a mixer is largely defined by the the duty or service factor of the unit. The DMX series not only offers some of the highest service factors, but also embodies them with a market leading gearbox at its core. This heavy duty mixer is designed to be portable and flexible enough to be applied to industrial tanks from 300 to 3,000 gallons for all of our industries.